What goes together better than chocolate and vanilla? Beats us. 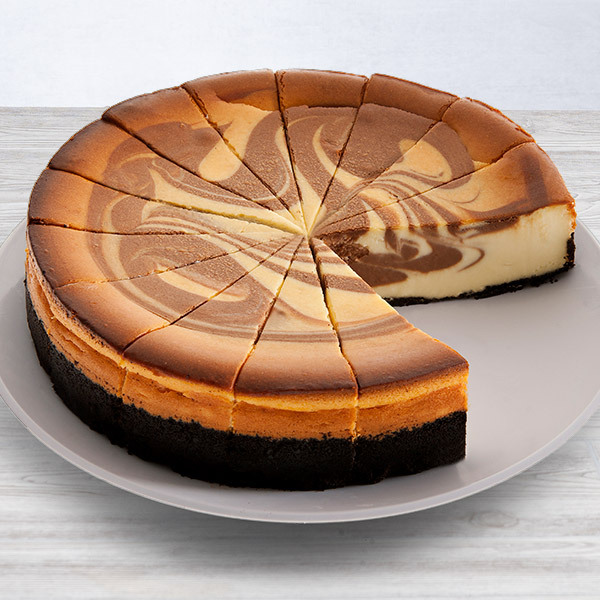 Our delicious Chocolate Swirl Cheesecake is the perfect marriage of chocolate and vanilla. 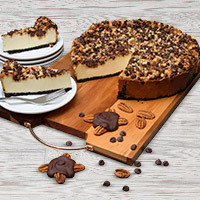 Rich chocolate is hand swirled into our creamy vanilla cheesecake, creating a flawless dessert. Chocolate swirl cheesecake is my absolute favorite cheesecake since it combines two of my greatest loves - chocolate & cheesecake & this particular one did not disappoint. Far from it. 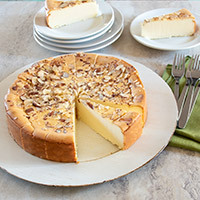 It has the same smooth creaminess as all the other cheesecakes I've gotten from GGB & they're not at all stingy with the chocolate swirled into their heavenly cheesecake. The chocolate cookie crust is quite fine & fairly thin, meaning more cheesecake per bite! The only very small critique I have is that the two I've ordered don't have the chocolate swirled very evenly throughout. 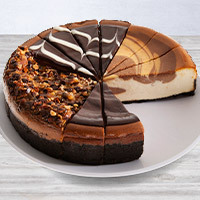 I understand why it's not possible to have perfectly even consistentcy thoughout having made chocolate swirl cheesecakes myself, but both of mine had little or no chocolate towards the outside & more than was needed towards the center. 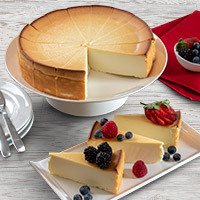 If not for this small flaw, this cheesecake would be pure perfection.